Nordic light Festival of Photography, Kristiansund. 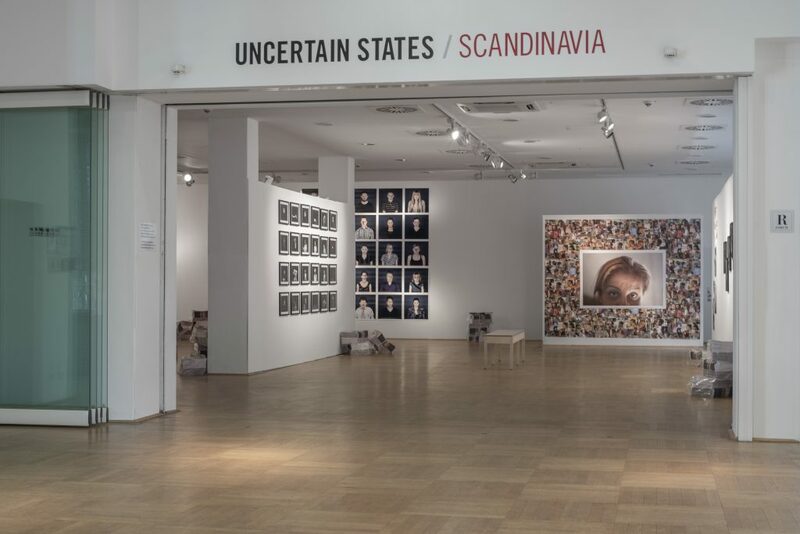 jury: Damian Heinisch, Marie Sjøvold, Cecilie Nissen, Ann Eringstam, Tor Henrik Fjelldal, Dag Alveng, Helene Gulaker Hansen, Helge Skodvind and Uncertain States (London). “By far the best entry. A touching and moving project. Great images AND a very good text. I want to see more.” -Helge Skodvin. ”Dønn ærlig fremstilling, konseptuelt troverdig og umiddelbart forståelig, fungerer best som serie av samtlige utvalg da hvert bilde knytter sammen historien, løsrevet mener jeg også første foto er en klar vinner av samtlige bidrag.” –Tor Henrik Fjelldal. ”Vakkert! Lekent, nydelig komposisjon, Wish I was there.” -Helene Gulaker Hansen. ”A tranquil and sublime project with much feeling.” –Ann Eringstam. “The little details. The angle of the hand, the fabric in the corner of the frame. These things. Nice.” –Helge Skodvin. ”Fotografiene utmerker seg både i farge, komposisjon og innhold, og interør og modeller utfyller hverandre på en overbevisende måte. Bildene utrykker både integritet, humor, selvtillit og intimitet. Gossé undersøker en subkultur preget av regler, ritualer og symboler som er ukjent for mange, og hun beveger seg tett innpå karakterene ved å plassere dem i deres private omgivelser. Kvinnekroppene står i kontrast til det retusjerte reklameidealet man vanligvis ser i resten av samfunnet. De utfordrer våre forventninger til kroppsidealer og insisterer på retten til ulikhet og skjønnheten i at vi alle er forskjellige. Fotoserien fungerer også som helhet og jeg får lyst til å se mer.” –Cecilie Nissen. ”Fotografen har hatt et tydelig konsept, som er veldig godt gjennomført. Hun har utforsket fotografiets muligheter og jobbet metodisk for å komme frem til arbeider som rører, men som også lar publikum stå igjen med egne opplevelser og spørsmål.” –Marie Sjøvold. ”An emphatic project, which represents the approach to someone ́s else life through the medium. The tension expands in the space between the chosen images. Divided and connected through one line arise questions of identity, time and belonging.” –Damian Heinisch. “A fantastic project that is cohesive and thorough.”-Ann Eringstam. “A professionally presented project with a lot of humor.”-Ann Eringstam. “Daniels images work, for me, on numerous levels. The photography is not only well executed it has a precise function within the context in which he chooses to set it. Daniels work talks of the linearity of life and the photograph making the spaces between finite and infinite (both the physical and the metaphysical) tangible, and to a certain degree, visible. Daniel also talks about the abstract and intimate in relation to his work-two elements, that, when combined with the uncanny, are the strange chemistry that make the photographic image such a fiercely intense visual art form. The way Daniel Juxtaposes his images gives a remarkable strength which allows an expression, if not total preservation, of the individuality of the moment. -Uncertain States. “Forced emigration of refugees has been covered extensively in the media in the past year, but lost due to recent events. An important project, which touches our closest environment and deserves most attention. All chosen people are detouched from their origin situations and portrayed in a respectful way. The used technique challenges our perception and expectations toward an anonymous study and typology. Despite the images manage to showe this humans as individuals through the photographic depiction.” –Damian Heinisch. ”Overraskende og vakkert.” –Dag Alveng. For the 4th issue we had the idea to make a site-specific broadsheet with ten photographers. We decided to go to Kjøllefjord, 70,5 degrees North and not far from Kirkenes, this January. To do photography in Northern Norway during January is quit a challenge, so this issue depicts the arctic darkness, and is our own “black album”. ”Er det dere som er fotograferne? And there we where, wearing sneakers, jeans jackets and without long johns, so anyone could easily spot us. We are 10 lens-based artists from Sweden, Norway, Iceland and Britain: Astrid Gjersøe Skåtterød, Bård Ek, Christina Leithe H., Charlie Fjätström, Eirik Knoop, Jói Kjartans, Terje Abusdal, Tor Simen Ulstein, Trude Bekk and Will Vickers. The end results of this journey are 10 individual stories from these artists, published in Uncertain States / Kjøllefjord, Issue 04. In our second issue there are 9 artists with individual photographic projects. You will find everything from forest, darkness and forces of nature captured on large samples of paper film, an “ode” to Lofoten, a diary and search for own roots, self-portraits, a cinematographer´s documentation of the characteristic of people in still images, a work of several b/w images, a call out to the materialistic public, a small town in Sweden namely Lillhärdal and images of several small communities that makes you think about what life is really about. puzzle over modern human behaviour and take images of electric light sources. contemplate on what we are afraid and ask why so many of us are afraid of this “others”. write that “it is as difficult to define the term photography as it is to define love”. poetic and beautiful documentation of bird watchers. inspired by Björk materialises a series of flowery, imaginative studio images. takes images of gardens in her hometown in Poland, a fascinating interplay between man and nature. inspired by the writings of Haruki Murakami, alluring images that try to “depict a certain state or a mood of the inhabitants in an imaginary country”. dealing with dog shows where dogs are judged by their appearances. The judge quotes could be transferred in to the context of people judging other people. with his tools, a large format camera, led lights, a bonfire, sailing supply and such, he photographs the forces of nature.